BitForTip: Earn Bitcoin Tips or Get Any Question Answered! One of the most interesting uses for Bitcoin is to provide a way for people to earn tips by posting great content on the internet, or to give other users tips for being helpful or just plain awesome. There are a few different companies working on ways to make the most of this potential, but most of them are held back by one simple fact: the majority of people are really tight with their money. Giving away content for free and then hoping that people will tip you after the fact doesn’t really work – as I have found from the dismal response to my inclusion of a tipping button on this site. An interesting solution to this conundrum which could get people tipping with BTC is Bitfortip. This site is a question and answer service with a difference – users posting a question include a small bitcoin bounty, which they can then release to the person who provides the best answer. Anyone looking to earn bitcoin tips can create an account and start answering questions for free, so its a great way to get your first bit of Bitcoin, if you’ll excuse the pun. The main use for this service is finding cheap products; instead of trawling the net yourself or going to a comparison service which will probably only show you products from paying advertisers you can just ask the internet, and people looking to get bitcoin tips will find it for you. You can offer as little as 0.0001 BTC, which is just a few pennies, so the chances are good that you will save a lot more by finding the cheapest deal than you will pay for using this service. But there is not reason it can’t be used for other stuff too. Want to know the best alternative medicine to treat a health condition you suffer from? Looking for places to visit in a particular town? Want some advice on a problem you’re facing? You can literally ask anything you want, choose how much you are willing to pay to get it answered, and only send out the payment from your account when you are happy that you’ve received the best answer. 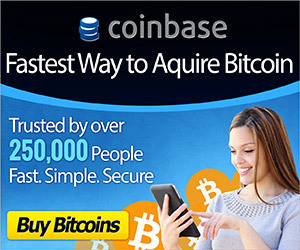 Its super easy to get bitcoin tips on this site. Just register for a free account, then browse the questions to find one that you think you can answer well. Click on any question and you will be taken to a page where you can view the reward that is being offered, submit your answer as easily as leaving a comment, and also view all of the answers posted by other users. If your post is selected as the best one you will receive the entire reward to your account. You can withdraw this to your own wallet any time you like. Once you’ve clicked that submit button its just a matter of sitting back and waiting for the answers to roll in. When I tested it out with a couple of questions I got 2-3 good quality answers within 24 hours. Next to each answer to a question you have posted you’ll see a big green button to ‘mark answer as correct’. When you are happy that you’ve got the best answer you’re going to get then you just hit this green button and the person who submitted that response will get paid the bounty you selected. Visit BitForTip to sign up now or search the Google Play Store on your Android phone (iPhone app coming soon). « Segregated Witness: A Solution to Bitcoin’s Block Size Debate?